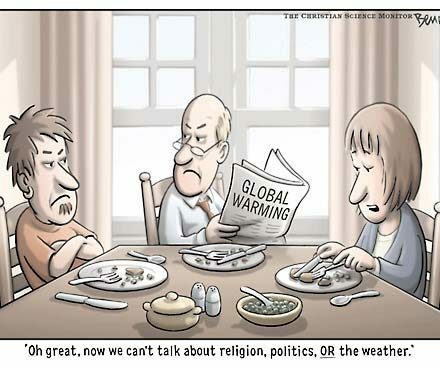 Scientists around the world agree that climate change is real and that some of our daily activities are making it worse. In California, summers will be hotter and longer, and winters will be warmer and rainier. When it rains, it will really pour — not just cats and dogs, but elephants. Storms will be more intense. Ocean waves will be bigger and more powerful — pummeling our coastal cliffs and decks so the earth gives way beneath them. Puddles will grow into lakes; high tides into higher tides. Spots that always flood will inundate more often and stay wet longer. The last few winters and long recent drought offer a taste of the stranger than fiction conditions to come. We’ve added so much carbon dioxide to the atmosphere from our cars, trucks, factories, and power plants that it’s now messing with our weather. 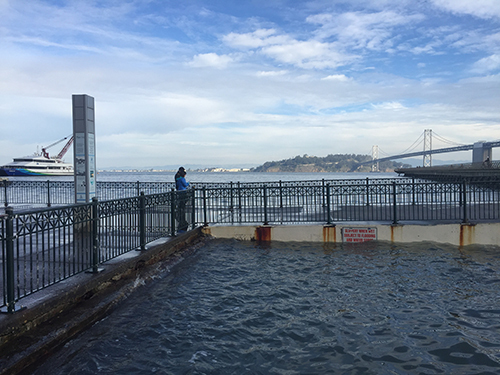 Here in the Bay Area, sea level rise is the most immediate worry. The rate of rise is gradual now, but it’s going to get much faster before we know it, around about the time that the babies of today get married. New numbers confirm San Francisco Bay’s cities and shoreline communities face a taller wall of water from ice melt than Venice, Hong Kong, or New Orleans. 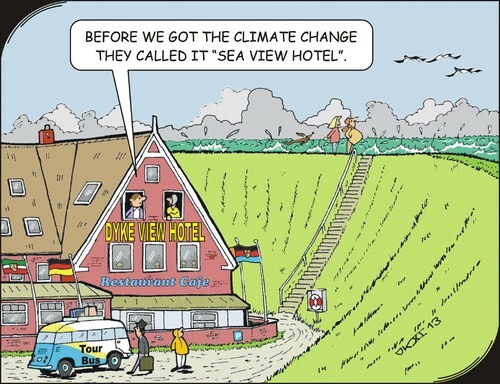 With sea level rise, the Bay will overrun dry land. Hundreds of thousands of people living and working close to the bayshore may be caught in the squeeze zone. Even so, the Bay Area is lucky. Though we’ve built far too many homes, highways and businesses right next to the water, we also have a forward-thinking populace. We’ve always been pioneers and risk takers. This is just the next rush, with a prize that isn’t gold or silicon, but a dry basement. The ocean is coming. We need to slow it down, spread it out, and take ourselves to higher ground. Lots of bright people have ideas about how we can adapt. One way to start preparing: get comfortable with their lingo. Nobody can really know what will happen in the future, but most people think computers, with their number crunching talents, can help make a good guess. For climate change, the crunching began when an international group of scientists gathered the best data on conditions like air temperature, sea level, and air quality and fed them into a computer model of global climate. They then asked the model questions like “if this, then what?” by running different scenarios. More experts took these global models and worked to make their results relevant to local conditions. They did this by truth-testing the global predictions against their understanding of how our air, ocean, bay, and backyards actually behave. 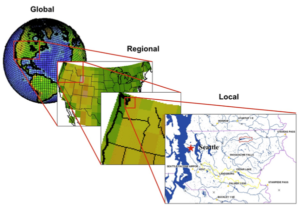 This “downscaling” takes continental-scale predictions from global models and makes them applicable to a particular country, state, region, or even county. Grey infrastructure — the pipes, pumps, tanks, and other facililities engineered by people to deal with stormwater — is the norm for most urban zones and water delivery systems. The grey stuff works well under average conditions, but will literally burst at the seams under the atmospheric river downpours expected in the future of the West. An atmospheric river is the kind of storm that tore a hole in California’s Oroville Dam spillway, for example. Throughout the San Francisco Bay Area and Southern California, the last decade has seen rapid growth in greener and bluer infrastructure, which melds the more flexible powers of plants, tides, and wildlife habitats with conventional grey infrastructure systems. Examples of these experimental, hybrid designs can now be found on permeable San Jose streets and living San Francisco rooftops, as well as on Berkeley’s shores. Such combinations promise more flexibility in the face of climate change, rising sea levels, and unprecendented downpours. The newest targets for innovations in green and blue infrastructure: our urban stormwater, flood control, and sewage systems. Most of these systems are now 30-40 years old and located on flood-prone shorelines. Without major upgrades to these life support services, tens of thousands could quickly find themselves without sewer or water service, as happened on the East Coast after Hurricane Sandy. In the Bay Area, upgrades for grey infrastucture are now being bundled with blue and green sea level rise adaptation projects to achieve multiple benefits and reduce costs. For example, Google aims to fit its newest campus into the Silicon Valley coastal zone in an ecologically resilient and appropriate way by planting more native vegetation and incorporating drainage features like bioswales. Increasing the buffer zone of green and blue infrastructure around our grey metropolitan shorelines is an emerging regional priority. Living Shorelines – Oyster Beds as a First Line of Defense? The shorelines of the Bay Area, as well as up into the Delta and Sacramento Valley, once included vast stretches of flooded marsh. Yet for the last 150 years, people have been building earthen walls around soggy fields, wetlands, and river floodplains to dry the land and render it usable for farming or building. Meanwhile, along coasts and major riverbanks, we’ve erected hard concrete walls and breakwaters to prevent the edges from eroding away. Yet these artificial edges are problematic, causing downstream erosion and their own brand of flooding. Seeking the best of both worlds, creative engineers in California and along the West Coast, have been coming up with new kinds of sea walls and levees that do more than separate water from people. Some include bird or oyster habitats to slow waves; some back up against spongy wetland buffers that absorb water. Others let a little but not all water in, relieving pressure gradually. If we start building horizontal levees and similar structures now, the thinking goes, especially in places adjacent to wetlands and open space, then we won’t need to build higher walls later. Come 2050, when the rate of sea level rise is supposed to go pedal to the metal, a Mud Rush will happen to California’s coastal cities. Everyone will be scouring construction sites, riverbeds, shipping channels, and landfills for materials to build sea walls and levees, and to elevate low-lying airports, bridge approaches, shoreline wildlife refuges, sewage plants, and waterfront promenades. Each project will require tons; a recent climate-adapted wetland restoration project near Sonoma deployed enough truckloads of dirt to reach bumper to bumper from San Francisco to San Diego. You heard it here first: there won’t be enough mud to go around. 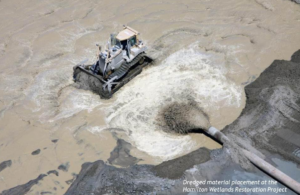 In anticipation of the Mud Rush, Bay Area engineers and ecologists have transformed the moving of dirt into a fine art. They’re spraying, flinging, and pooling it; spreading it in the shallows to let waves redistribute it; matching up those digging it out with those who want it for fill (think dirt-dating service); and directing barges of dredge from ports toward drowning shorelines instead of offshore disposal pits. If we start now, there’ll be enough time to add both height and resilience to our shores.